Six Park are a financial services company specialising in robo-advisory and self-managed super funds. Launched into the market in 2016, Six Park is part of a new breed of investment advisers; ‘robo-advisers’ are one of the hottest topics in fintech, with the potential to slash investment costs and eliminate conflicts of interest. Six Park offers globalised, diversified investment portfolios which fit the customer’s risk profile. Their profile is assessed through an on-site questionnaire, and during the onboarding process. In the ideal case, an individual investor is ready to start funding their portfolio within 24 hrs. Evolution 7 were initially engaged to review and provide recommendations to get best value from existing digital assets and digital marketing activity. This later expanded to include a redevelopment of the website to deliver an enhanced user experience. The resulting website provides a highly considered and slick UX, highlighting the benefits of programmatic funds management and benefits of using Six Park, along with a streamlined onboarding process. The site is highly optimised for lead generation and conversion; including considered pathways through content and actions for different target audiences, and the design and development of pay-per-click landing pages to maximise investment on paid media and marketing campaigns. 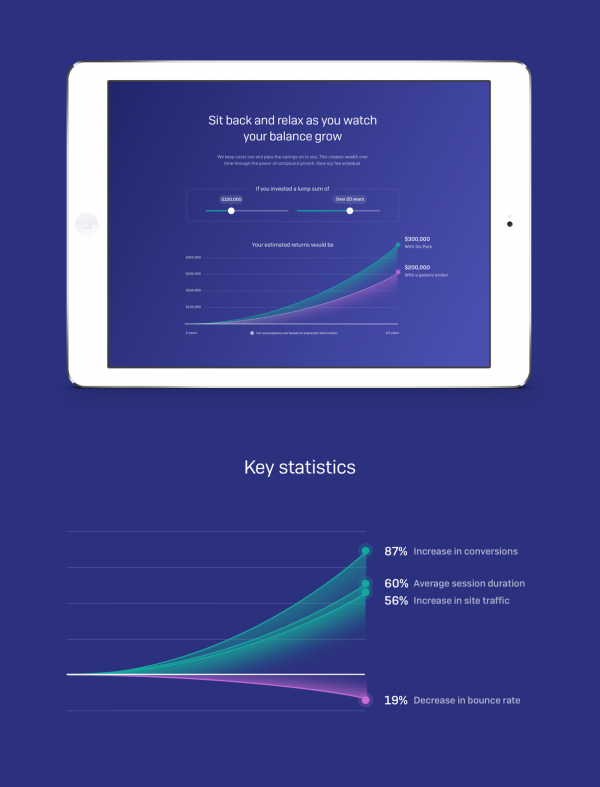 Following launch, key statistics make impressive reading: traffic is up 56%, bounce rate is down 19%, average session duration is up 60, and most importantly for Six Park’s business objectives, the account creation conversion rate is up 87%. The project was completed in two parts. Initially, the brief was to review Six Parks existing site and recommend ways to optimise it for higher lead generation and conversion. We were also tasked with the responsibility of improving UX and brand perception by way of look and feel (or style) changes to the site. 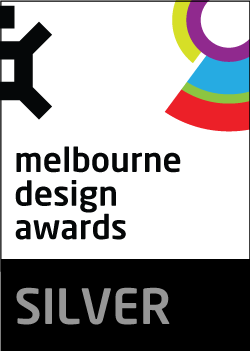 Analysis and insights led our recommendations to a fully fledged redesign and build to enable Six Park to better achieve business objectives. We focused on the user journey up to the point of email capture, which occurs on the marketing website. The journey which follows on from this point includes other software tools, and will likely be addressed in the near future. When Evolution 7 was first engaged, Six Park were still exploring who their primary audience was, between the two target audiences/markets of ‘tech savvy gen X’s and millennials’ and ‘stress free self managed super fund platform for high income earners’. The design and UX of the website needed to speak to both audiences, and strike the right balance between ‘robo-advice’ and the human-managed investment process. 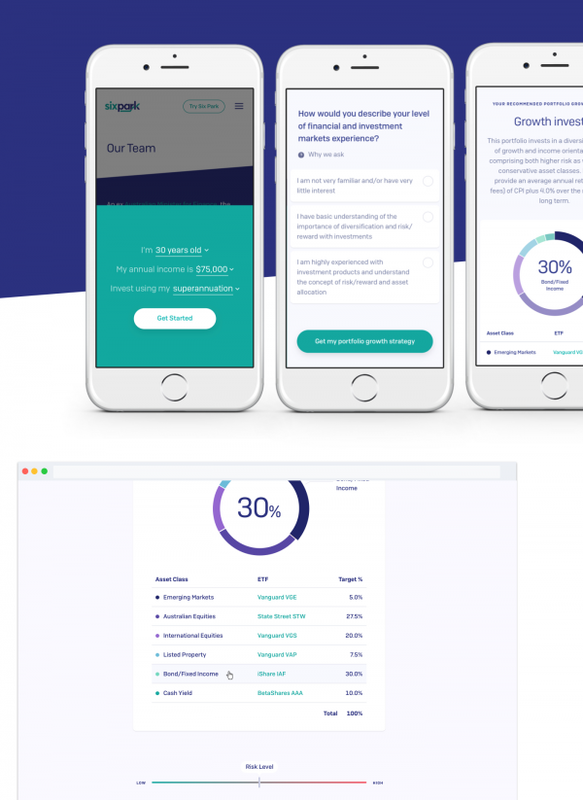 Six Park, as a start up in a new and innovative industry, needed to find a balance between the value and excitement of a robo-adviser, with the need to show the human side and real-life expertise of the Six Park team (including 200 years of combined investment management experience, and an extremely distinguished and active Investment Advisory Committee). The previous visual language and colour palette presented a challenge in communicating that Six Park ware a providing financial product of repute and innovation; Evolution 7 were tasked with revisiting and developing a visual approach that communicates in a way that is quick to comprehend but doesn’t assume (or belittle) the user's level of existing sector knowledge. 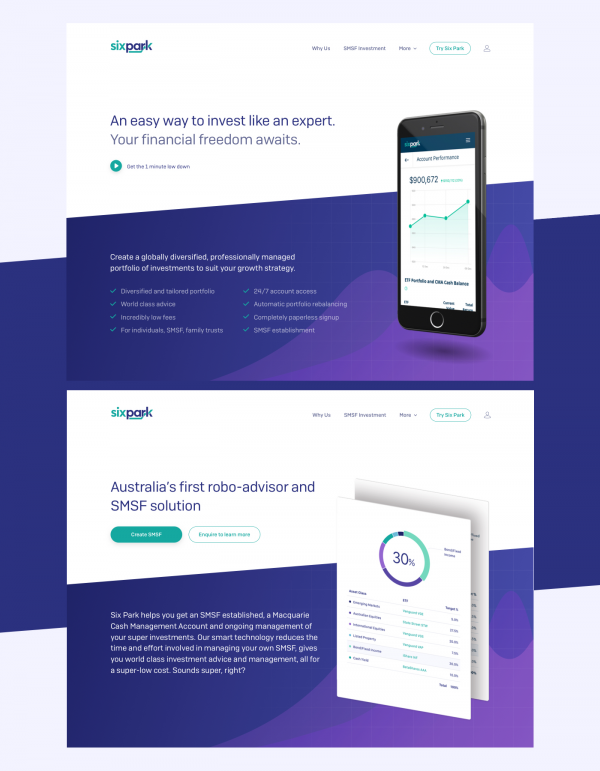 Tailoring the site to two different sectors (general investors and those wanting a better way to invest their SMSF) was a key requirement, involving consideration of iconography and illustrations, key messages and copy, along with considered information architecture and navigation. Lastly, the Six Park website’s objective is lead generation and conversion. Enticing users to submit their email and commence the investment process was a key challenge laid out to the Evolution 7 team. 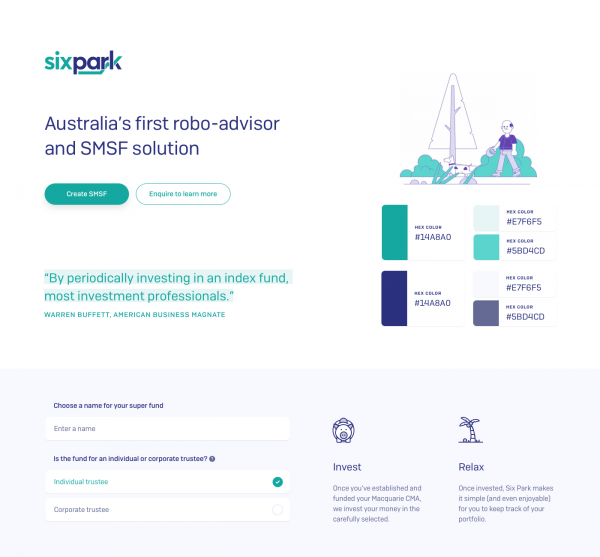 We wanted to position the brand as a leader in the robo-adviser and SMSF space; we decided to utilise social proofing and persuasive copywriting to articulate the value of Six Park, and to convince users to try the product. Bio’s of the key Investment Advisory Board members and their credentials quickly drives home the expertise and experience behind the brand and investment decisions, while testimonials from real Six Park customers and logos of publications which have featured content on Six Park provide social proof and credibility. Extensive collaboration between strategists and UX designers helped us understand and shape user flows from a range of different journeys; including detailed consideration of homepage impact and messaging, layout of content to lead users to key conversion actions, optimising copy, content and presentation of key messages, through to form optimisations. Content and ease of understanding key, but sometimes complex, information was a key focus. Determining a progression through key messages, features and benefits resulted in tight copywriting, focus on key points, and a linear progression through key pages to encourage faster comprehension and completion of actions. With a new product in an increasingly talked-about industry, a focus on SEO ensures that the site is able to be discovered through search activity and increased interest. Advanced SEO considerations throughout the sitemap, design and development phases of the project ensured that the resulting website was optimised for SEO. The Evolution 7 team also undertook keyword research and analysis to inform site structure decisions and content creation. With a range of digital marketing activities underway, we wanted to make sure that users arriving at the website through paid activity received an experience that was optimised to the channel and campaign. The design and development of pay-per-click landing pages ensures Six Park have increased control over the messaging and calls to action a potential customer is exposed to. The launch of the website was supported by the development of a full digital marketing strategy, encompassing a range of channels selected specifically for Six Park, and the implementation of campaigns and activity across a range of tactics. Following launch of the site and marketing strategy, Six Park saw positive changes to organic search traffic (up 37%), a reduction in AdWords traffic bounce rate (down 33%) and a marked increase in AdWords traffic conversions, up 363%. As users arrive on the Six Park site, they are prompted with a CTA to input their current annual income and age. At this stage, a user is still anonymous and no personal data other than their answer is stored. Following completion of this form, the user lands on the app.sixpark.com.au site, where a third party vendor hosts and manages the financial risk assessment process.